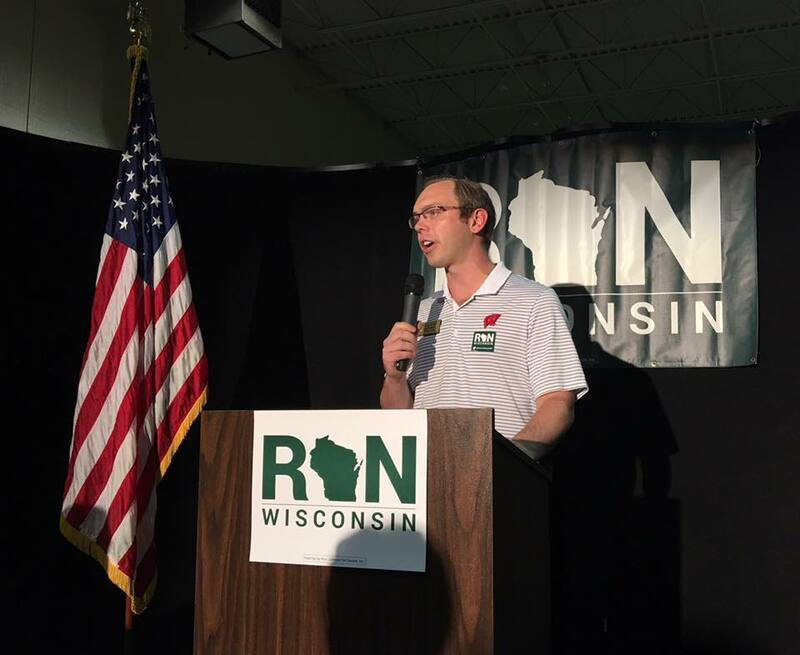 On August 9th 2016, along with U.S. Rep Jim Sensenbrenner and RPW Chairman Brad Courtney, Rep. Adam Neylon introduced Senator Ron Johnson at the Republican Party of Waukesha County HQ Primary Rally. “Hello and welcome to greatest party in Wisconsin the Republican Party of Waukesha County. Like Senator Ron Johnson, I don’t think of myself as a ‘politician’ but a small business owner, husband, and as of two weeks ago – I’m proud to say – also a Dad. We hear ‘this is the most important election’ to the point it become cliché, but when little Elizabeth Grace was born, for the first time, it began to feel real. What type of world is my daughter being born into? I truly believe the most important election in Wisconsin, and as conservatives, our most important duty this year is to re-elect Senator Ron Johnson. Senator Ron Johnson is the only member, on both sides of the aisle, with a background in manufacturing. That means he’s the only U.S. Senator with real experience creating jobs in one of Wisconsin’s most vital industries.